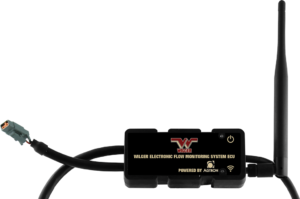 The electronic flow monitoring system takes Wilger row-by-row flow meters and pairs it to a manufacturer’s monitor or tablet to provide accurate monitoring for both blockage and flow rate irregularity. Similar to the visual ball flow indicators, it shows variation in flow that might be caused by blocked lines, incorrect orifices, or blown product hoses, but it provides the added benefits of knowing the actual flow (not just relative) for each row, as well as having it conveniently located on a screen in your cab. 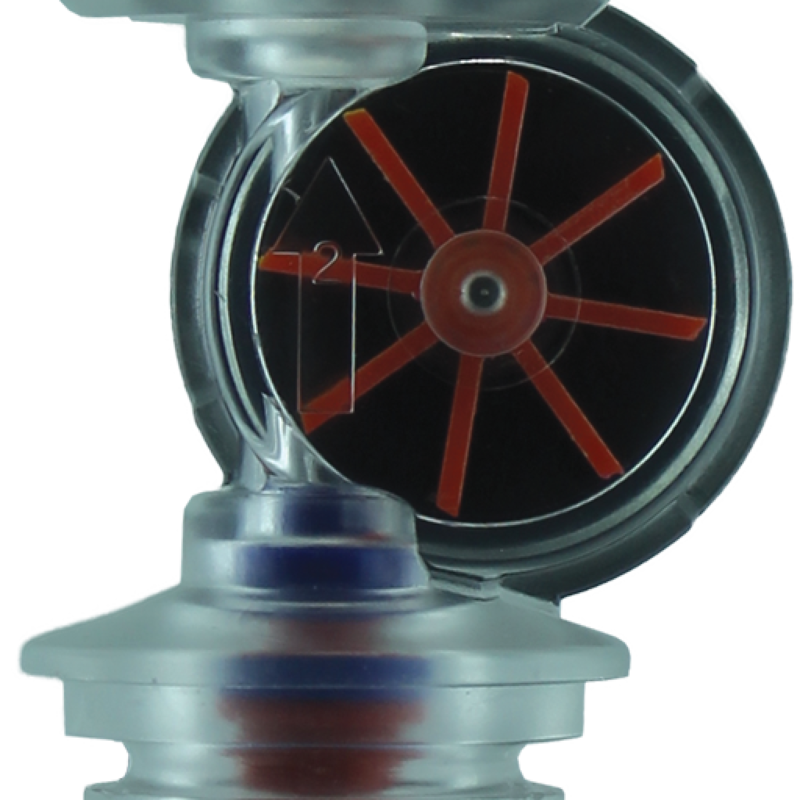 The EFM system is completely available as a retro-fit option, and is especially easy to add to an existing visual flow indicator system. 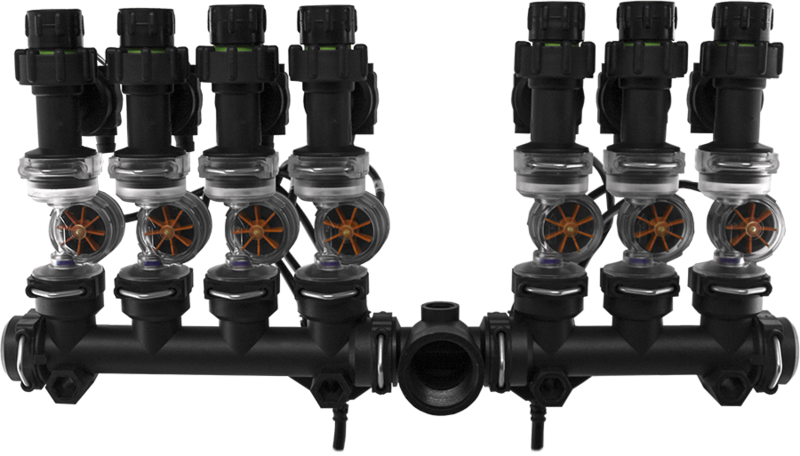 The compact flow meter is different than your traditional flow meter in a lot of ways. 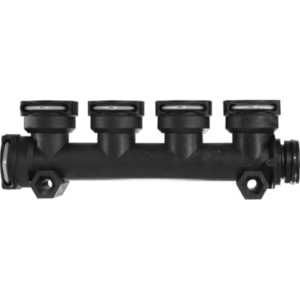 With the TPX polymer body, you have a great deal of chemical resistance and any residue or chemical have a very tough time sticking to it at all, meaning residue has a tough time building up within the flow meter moving components. Often flow meters are literally used until they start to wear, and then replaced. Physically being able to maintain or replace components is virtually impossible, or impractical. 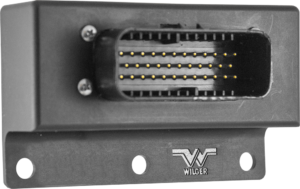 As the Wilger flow meter is completely accessible, it allows for both easy and convenient cleaning (if req’d), but it also allows for the paddle wheel to be replaced if excessive wear begins to effect accuracy. 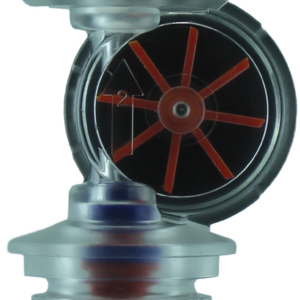 The flow meters have 4 different sizes of stabilizing jets that maintain better accuracy over the operating flow range of the flow meter. Since the flow meter’s output is a raw pulse frequency, it is compatible with almost any of today’s application technology configurations (isobus, etc.). It only requires the front-end and application to pull in and display the information. As such, we are continuing work with OEM system manufacturers and welcoming other system manufacturers to pull the EFM sensor feedback into their existing monitors and systems to be able to provide more value to their users. 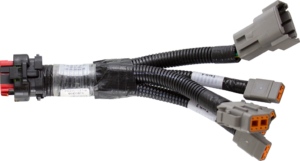 We offer our current standard/retrofit options, using Agtron’s electronics and controllers, which are highly regarded for their use in seed-blockage monitors. The same quality of electronics is available immediately for use to build an EFM system. 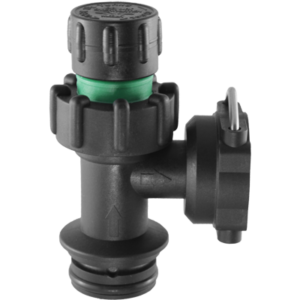 A variety of check valve options are available to act as a drip-check, but also keep stable back-pressure on the flow meter itself. O-ring sealed fittings can be spun 360° without fear of leaking of pulling out.